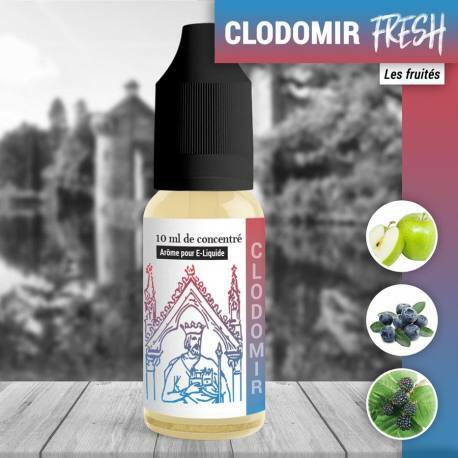 A trio of sweet fruits mixed with a beautiful sensation of freshness to offer you the savoury Concentrate Fresh Clodomir. Find perfumes of Blackcurrants, Blackberries and Green Apple. The Clodomir Fresh Concentrate is produced in France by 814.